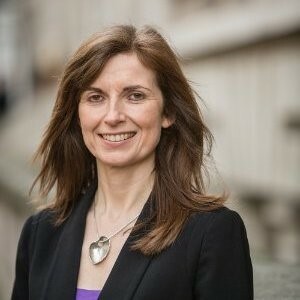 NSI, the National Security Inspectorate, has announced the appointment of Dianne Gettinby as Head of Marketing Communications with immediate effect. Responsible for delivering NSI’s strategic plan of marketing and communications, Dianne will optimise the use of all media to build brand recognition, value and loyalty. Prior to joining NSI Dianne spent 5 years at the British Dental Industry Association where she was responsible for development and implementation of the Association’s marketing and research activities, including the UK’s largest dental exhibition. Previously she worked at IHG in various marketing management roles across EMEA. Dianne holds an MSc. in International Marketing from Strathclyde University and is a Member of the CIM. NSI is the UK’s leading, independent, not-for-profit certification body specialising within the security and fire safety sectors. Each year its expert, in-house team of auditors conduct assessments amongst more than 1800 organisations. Only those companies delivering the highest standards are awarded NSI approval. This ensures home and business owners across the UK can rest assured that in choosing to do business with any NSI approved company they have chosen the highest quality of service provider within these sectors.